Contained within are the H.P. 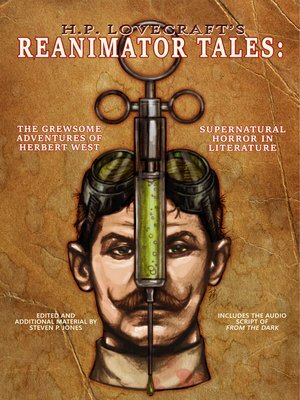 Lovecraft tales originally known as Grewsome Tales and later dubbed Herbert West - Reanimator are presented here in newly edited versions. In addition, writer Steven Philip Jones provides an all new Reanimator tale plus the script for the audio version of From the Dark. As a bonus, an essay written by Lovecraft, Supernatural Horror in Literature is presented in this collection. A must gift for any H.P. Lovecraft fan or collector.